There are moments where I have to pinch myself to make sure that I really am living this life. I went from survivor to advocate, to spokeswoman. Last Thursday I received an email from the American Heart Association’s National Advocacy office inviting me to Washington D.C. This just wasn’t any old regular invite, this this was an opportunity of a life time. 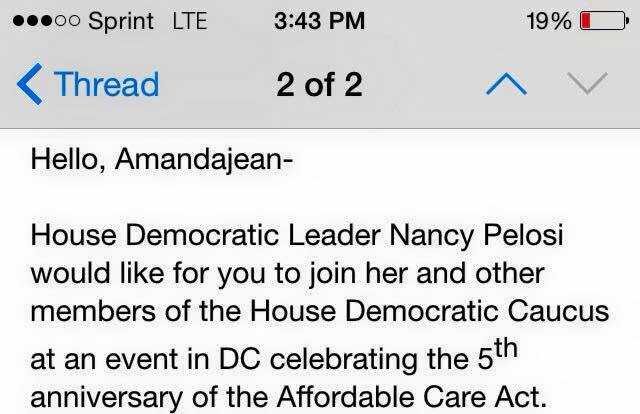 I was invited to Washington D.C. by House Democratic Leader Nancy Pelosi. When Nancy Pelosi invites you to D.C., you go, YOU GO and I did just that. I went and I became a part of history. 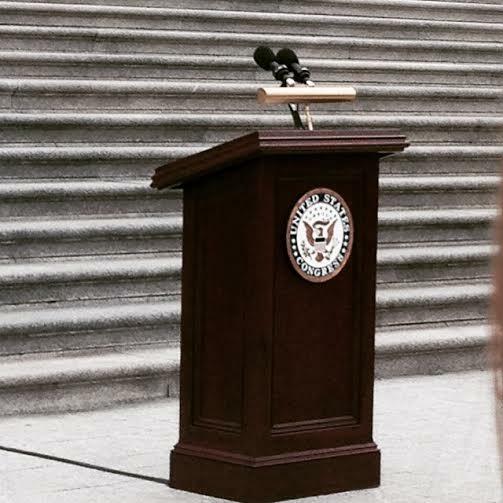 I was invited to DC to speak at a press conference celebrating the 5th anniversary of the Affordable Care Act. 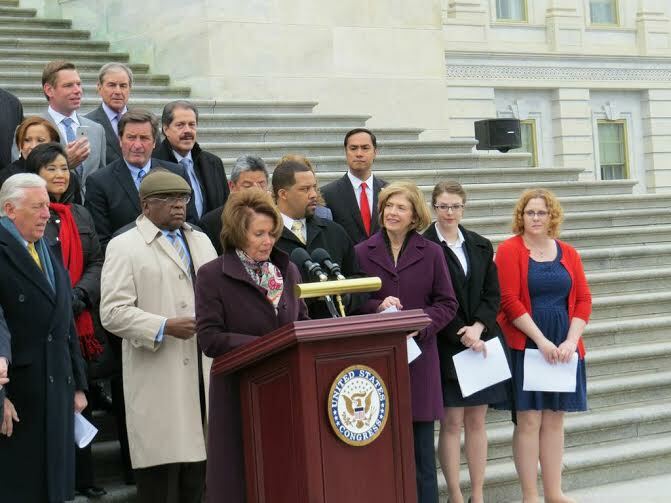 The conference was held on the Capital Steps and it was organized by Leader Pelosi and members of the Democratic Caucus. 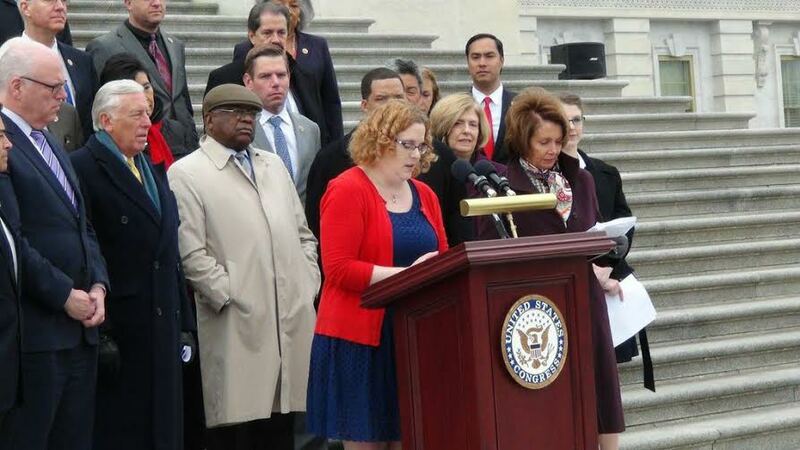 Together we celebrated the Act and the fact that is working for millions of Americans. 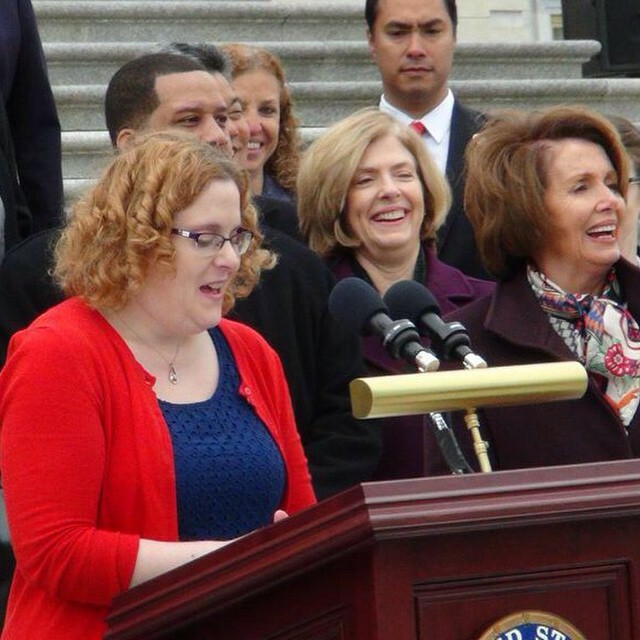 I am just one of the millions of Americans who benefited from the Affordable Care Act. This was my moment to put a face to a cause. Words cannot describe the impact the Affordable Care Act has made on my life. As a Pulmonary Embolism / Stroke survivor I can no longer be denied coverage or be forced to pay more because of my medical history. In the eyes of the law I am equal to my healthy peers and because of this I am able to afford quality insurance and put my health first. Yes, I found myself struggling to choose between paying my bills or paying for the medical care that I needed. For 18 months I went without health insurance and for part of that time I was only making $12 an hour. My most expensive prescription was $287.00 a month and I tried skipping it for a while, that just turned into a very expensive disaster. No one should ever have to choose between life saving care and bills. I never for one thought I would ever be in that position, but at 28 I found myself there. I found myself struggling to stay a float and was ashamed that I could not afford the health care I desperately needed. Today I am no longer ashamed, I am empowered. I have an insurance card in my pocket and I owe it all to the Affordable Care Act. I no longer had to settle for a job, instead I got to hold out for the one I wanted. I no longer have to check the couch for spare change just to pick up my prescription. Instead I walk right into Target and pay only $20.00 for a brand name drug. I can afford to go to the doctor and I am now getting routine care. I can for the first time in a very long time, put my health first. Life is not worth living if you do not have your health.